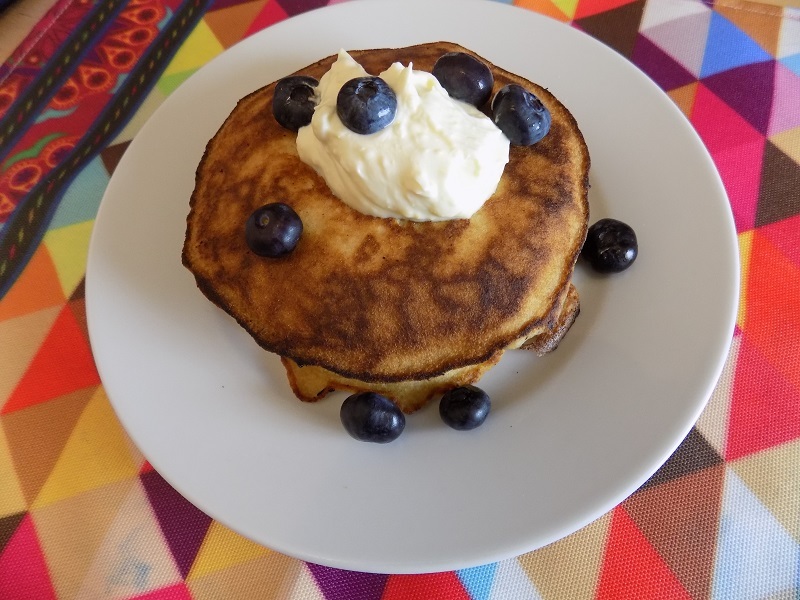 Recently, I was sent two mixes from 1-2-3 Gluten Free via Make It Gluten Free in the United Kingdom for review – gluten free pancakes and gluten free chocolate cake. Make It Gluten Free is a UK-based website which is importing 1-2-3 Gluten Free and Simple Mills mixes from the United States. The products are packaged and labeled in the US for UK consumers. Both brands’ products can be ordered for UK and European delivery on the Make It Gluten Free website. In the US, 1-2-3 Gluten Free products can be found in a number of stores, purchased online directly from the company, or on Amazon.com. 1-2-3 Gluten Free is an American company producing a number of bread and cake mixes. They have fortified several of their mixes with iron and B vitamins, “providing those on a gluten-free diet with the necessary nutrients in which they are likely deficient,” according to their website. The UK version isn’t marked fortified but does contain the vitamins in the ingredients list. The first mix I tried is Allie’s Awesome Buckwheat Waffles (sold as *Allie’s Awesome Buckwheat Pancakes in the US.) As I was unable to locate or borrow a waffle iron from friends, I made pancakes – the mix works for both. As I mentioned in my previous pancake recipe post, I’ve never been a huge fan of pancakes, but this mix has me coming around. They are quite easy to make and only require eggs, milk and vegetable oil be added to the mix. My partner Legend says he can’t tell they are gluten free – always a good endorsement for a gluten free product. They are a little pricey, but you do get enough mix to make 20-25 pancakes. I compared this product to *Gluten Free Bisquick and found the price per ounce for Bisquick is 28 cents on Amazon.com, while 1-2-3 Gluten Free comes in at 42 cents an ounce. However, Bisquick isn’t fortified and may contain soy (1-2-3 does not.) Also, 1-2-3 Gluten Free products are kosher and genetically modified organism (GMO)-free. 1-2-3 is made in a gluten free and allergen free facility, while Bisquick is made in a “gluten free processing facility.” 1-2-3’s US facility also received a British Retail Consortium accreditation A rating. If these kinds of things are important to you, it’s worth the extra money to upgrade. I’m not one for plain gluten free pancakes, so I tried a few different add-ins and toppings to make these extra-special. 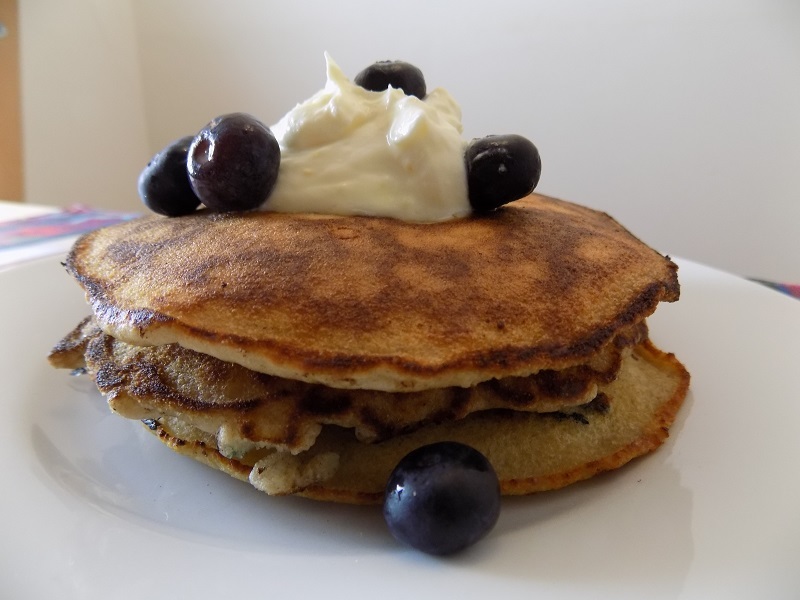 These will work with my crepe-style gluten free pancakes too. Here are my recipes! Mix all of the topping ingredients in a bowl until thoroughly blended. Follow the instructions on the box to make the pancakes (it even includes the blueberry part.) Serve the pancakes fresh off the griddle, topped with a spoonful of mascarpone and sprinkled with a few more fresh blueberries. Mix all of the topping ingredients in a bowl until thoroughly blended. Follow the instructions on the box to make the pancakes, substituting chocolate chips for blueberries. 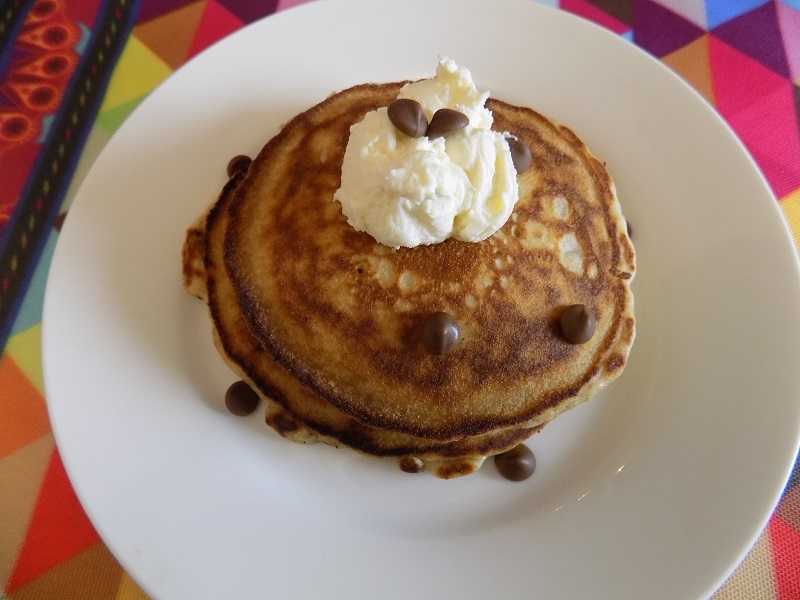 Serve the pancakes fresh off the griddle, topped with a spoonful of mascarpone and sprinkled with a few more chocolate chips. Follow pancake instructions on the box. 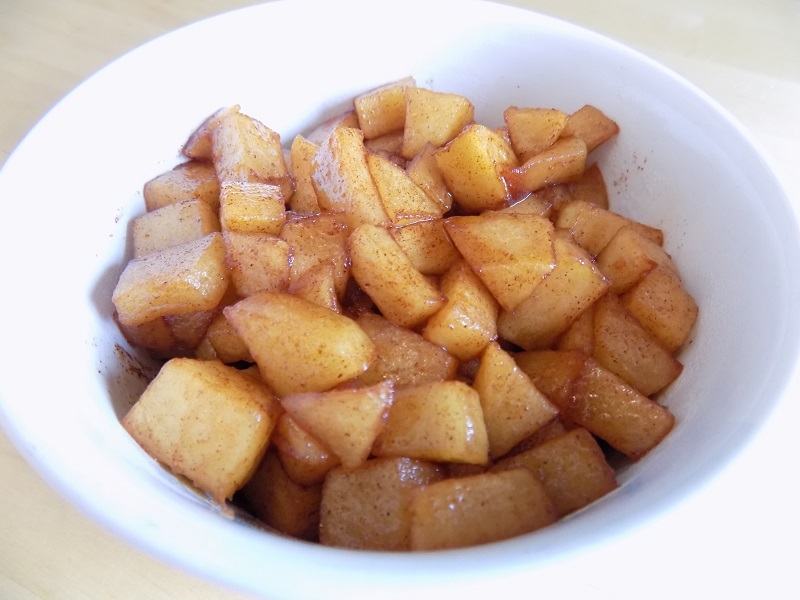 Mix all apple topping ingredients together in a small saucepan and simmer for about 10 minutes, until the apples get soft. Toast the pecans in a small frying pan over medium heat until the color just begins to change (3-4 minutes.) Sprinkle the sugar evenly over the pecans. Stir, and as soon as the sugar turns to liquid, turn off the heat. Continue stirring until all the pecans are glazed in sugar. Let cool and break up if stuck together. Serve gluten free pancakes topped with apples (and the syrup from the apple pan) and sprinkled with pecans. For even more recipe ideas, visit 1-2-3 Gluten Free’s website (US) or Make it Gluten Free’s website (UK). Are you craving breakfast now? Have you ever tried this mix, or anything from 1-2-3 Gluten Free? Tell me in the comments! I’ll review the gluten free chocolate cake mix in a separate article soon. My review policy and disclosure: I received the mix reviewed in this article for free. I have done a fair and honest review of the product, and promise that I always will.